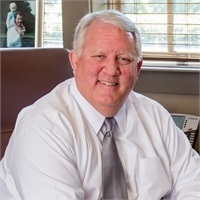 William Dowell | Vision Financial Group, Inc.
Bill is a graduate of Birmingham- Southern College. After his graduation in 1978 he began his career with Protective Life Insurance Company. In 1983 he was a co-founder and principle of First Financial Center of Birmingham, Inc., serving as its President from 1987-1996. In 1996 Bill formed Vision Financial Group, Inc.
Bill is active in industry and community affairs. Bill currently serves on the board of directors for the Financial Services Institute (FSI) which represents more than 100 independent financial firms and their 160,000+ affiliated financial advisors. He was a board member of the Birmingham Association of Insurance and Financial Advisors from 1985-1996 and served as its President in 1993 and 1994. He has served on Birmingham-Southern`s Alumni Board since 1980 and was its president from 1990-1992. He is also a charter member of the Endowment Builders Society for Birmingham-Southern. Bill was a board member of the Alabama Planned Giving Council from 1993 to 1999 and served as its President in 1997. He has served in various PTO Board positions at Inverness Elementary, Oak Mountain Middle and Oak Mountain High School. In 2001 Bill was the Shelby County chairperson for the United Way campaign, helping raise over $600,000 for the various agencies of United Way in Shelby County. Bill and his wife Sandra have been married since 1979 and have two daughters, Logan and Crawford. They attend Asbury United Methodist Church. His hobbies include traveling with family and friends, golf, hunting and fishing. Please be advised that presently Bill Dowell holds Series 06 and 63 licenses and is registered in the states of AL, AR, AZ, CA, CO, FL, GA, IL, IN, KY, MD, MO, MS, NC, NE, NH, NM, NY, OH, PA, SC, WA, TN, TX, and VA. For residents of other states, proper licenses and registrations must be obtained by Mr. Dowell before proceeding further. Securities offered through ProEquities, Inc., a Registered Broker/Dealer, and member FINRA and SIPC. Vision Financial Group, Inc. is Independent of ProEquities, Inc.